Photo book lovers in San Francisco are in luck. 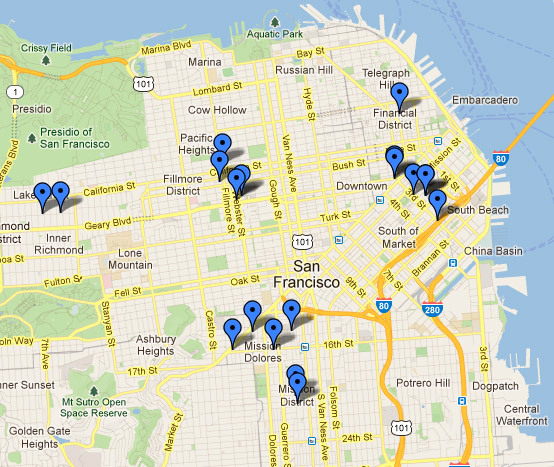 Wayne Bremser has created a custom Google Map of city locations selling new and used photo books. I think it would be great if every major city had one of these. Agree? Create a local photo book map, send it to me, and I'll post here. 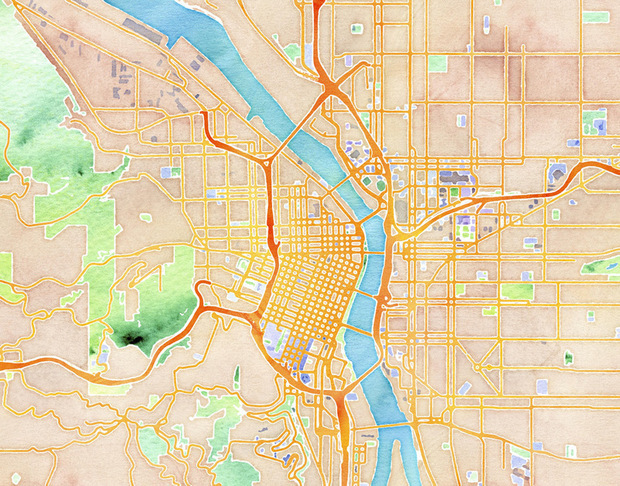 Also on the subject of maps, Jen Bekman's 20 x 200 today released a new watercolor map of Portland by Stamen Designs. Unlike Wayne's map above it's not very good as a practical tool. But it sure is purty to look at. And it does work in a roundabout way. Place a finger anywhere on it at random. You'll probably be near a used bookstore, at least a coffee house showing photos. Great link, Matt. I had seen this before but couldn't remember where. So thanks for the comment.